I have tried many editors and Web design tools in my many years as a Webmaster/affiliate marketer, and I have to say that nothing comes close to Artisteer. Since this site attracts so many beginners with little or no web site development experience, it really is a fabulous option if you want to design your own site with ease. The only drawback is that it produces a LOT of code. So if you want to edit the HTML, PHP or CSS code directly, it can be quite the task weeding through all the syntax. Nevertheless, it's a great tool for beginners or people who want a fresh, new design for their site without having to know any programming. Download a free trial of Artisteer here. Note: In order to upload your site after creating it with Artisteer, you will need a domain and web hosting. 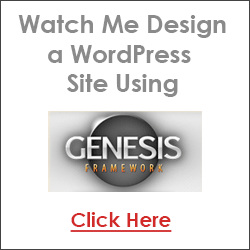 Learn more about starting your website here. If you used Artisteer to create a static HTML site, you'll need to upload that entire folder to your web host. Learn more about uploading/FTPing here. If you are using WordPress, you need to upload your folder to your themes directory on your web host that is located at yoursite.com/wp-content/themes/. Now when you login to WordPress, you can go to Appearance >> Themes and activate the new theme. Here's a video on how to create an actual WordPress theme with Artisteer. If you want to learn how to build a static HTML website (not a blog) without using any software at all, you might want to check out this tutorial where I show you how to build a 2 column site. 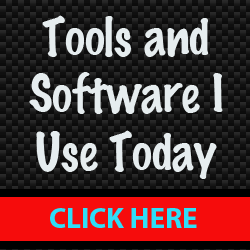 If you have Notepad or any text editor on your computer, you can build your site for free and no software is needed. How cool is that?